Nothing is more important to civilization than transportation and communication. All trade of wealth and productive labor involves transportation, whether it is the movement of goods or the movement of people from their homes to their jobs or their homes to the places where they shop. 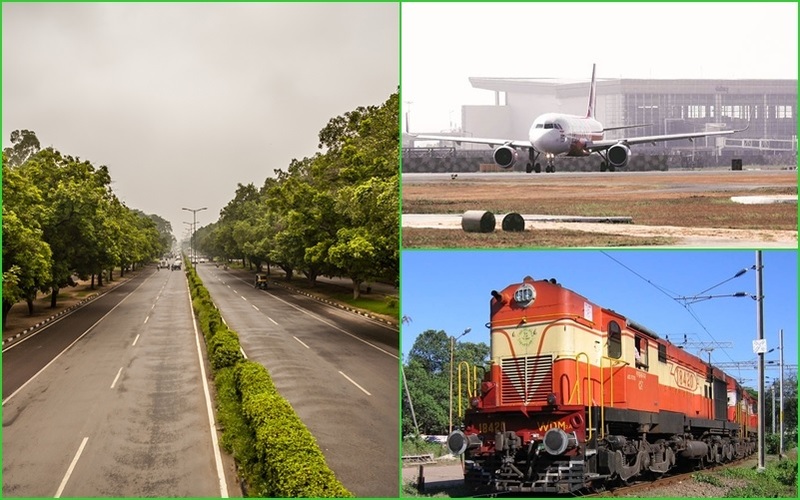 City beautiful Chandigarh is the first planned city of India, having notably intelligent connectivity of road network throughout, rail links with the adjoining states and the adjacent International Airport, for lakhs of daily travelers to the city. With the increase in population of the city, the demand for modern travel facilities has also been increasing day by day. As per the census 2011, the population density during the last 5 decades, has increased 9 folds from 1,051 to 9,252 persons per Sq Kilometer. Due to high economic status; the city has the largest density of vehicles i.e. 878 vehicles/1000 people.